Most of the people today are opting for self storage. However, most of this people are often faced with the challenge of how to find self storage facilities. With the best-offered features, they could benefit too. Well, one great factor that you need to consider before you rent a storing facility is the security measure it has. For this will ensure you that your possessions are safe and secure whenever you store it in a long term storage or short term storage. And somehow, there are several security features that you need to look for in a storing company. To make sure that they provide excellent security measures for your possessions. Thus, if in case you are among those who have had difficulties of finding the right storing units. Then keep reading. For there are more helpful guidelines we are about to present to you. So you are able to easily find self storage facilities with best features offered for your need. Here are things you need to consider in finding the right self storing unit of your need. Make sure to check every detail. 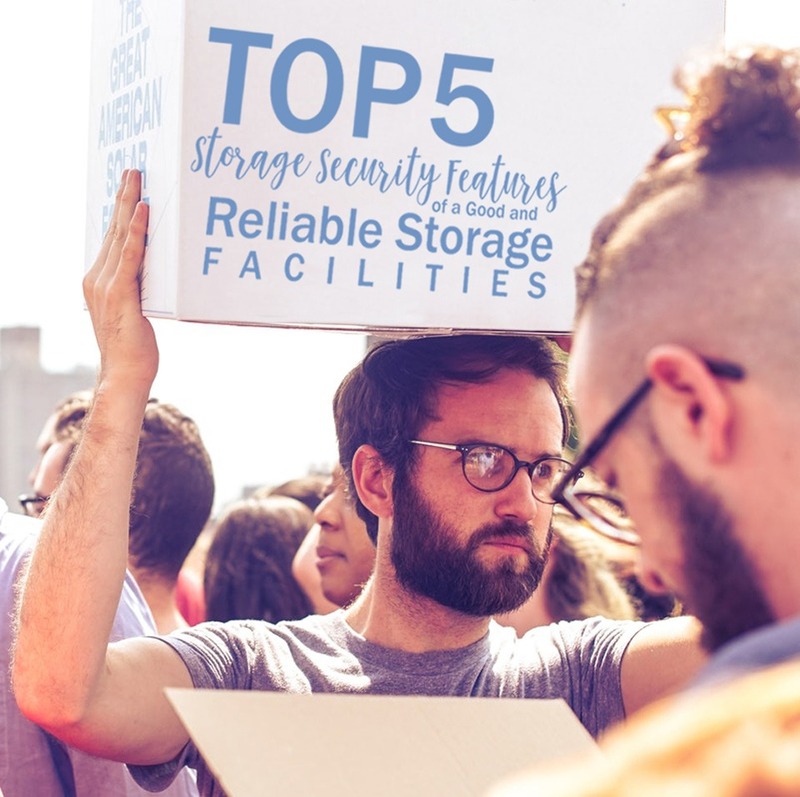 And see to it that the storing company that you are about to hire has this top 5 storage security feature. The best time to visit a storing facility would be after sunset. Why? Well, it could be easy for you to see how much lighting the facility has. A good storing facility should have enough light. Take note that sufficient lighting is one way of discouraging crime. But then it should also have other important security features like for example surveillance camera. Thus, before asking about the high- tech security, you may first ask and check the quality of lighting it has. And if there’s enough light in the facility, start looking around and ask about their video surveillance. See if they have enough cameras around the vicinity. Are they 24/7 on? For how long they do the video recording? Don’t be satisfied with just video surveillance alone. Be curious about it, since this would be a great help in case potential crimes arise. Otherwise, if an incident would happen, you won’t be able to identify the criminals. Think of the other possibilities and be prepared. Be sure to check things the right way before selecting the right storing company. As you find self storage facilities, make sure to consider the facility that has an excellent fence. For this is an essential security feature every storing facility should have. An excellent fence feature should cover our surround the entire perimeter. Not just the entrance but it should also be strong and difficult to climb. After all, a chain-link fence won’t be enough to keep intruders away from your valuable items. Secure Access to Storage is important to consider especially if you want to get something out of your unit for your office removals. Always ask how does the facility allow you to access your unit? Is it easy? Well, accessing your unit should be convenient yet secure. Remember that simple locks are convenient but it’s not secure enough. Thus, the main gate should be having definite locks and ideally monitored by surveillance cameras. Then, entering the premises will be difficult to outsiders yet easy for you. Fire alarm system is one great security feature that each company should have. Especially for instances, fire incident occurs. Remember that not all storing facilities are equally safe. Some may provide an excellent customer service, yet they have gaps in their security measures. That’s why it’s important to carefully evaluate the security features of any facilities you’re considering for. Whilst cleanliness and friendliness are important, it won’t protect your property after all. Thus, knowing the above features mention will greatly help you choose the right company. For you to find self storage facilities of your need. And if happen you find self storage facilities that offer all these 5 security features, then you can rest assured that your unit is safe and sound. However, you must also keep in mind that this security feature can’t protect your property from natural disasters. Like earthquakes, floods, and other natural phenomena. For your peace of mind, if it happens, you may take advantage of the insurance policy which may cover accidents and unexpected events. Also, check if the storing company has this insurance offer. Want to know more about finding self storage facilities? Well, you’re on the right track! Macy’s Mobile Self Storage we’ll be happy to help. Whether it’s for commercial or mobile storage, we have the best solution for you. Call us and learn more about our services solution. And if you happen to look for an affordable yet reliable and secure storing units, then read this article Best Price Storage Units and learn how to achieve the best price storage units of your need. This entry was posted in Storage and tagged cheap storage, Long Term Storage Sydney, Macy's Mobile Self Storage, moving, Portable Self Storage Sydney, self storage, self storage sydney, short term storage sydney, Storage, storage module, storage sydney.